Deborah's school orchestra in front of the Dragon's Gate (Long Men). Deborah was 17 when this group photo was taken. Hello, I am Deborah Koh and I am from Singapore, where about 70% of the population is made up of Chinese people who are descended from Chinese immigrants many decades ago. The majority of the Chinese have a pretty good grasp of both Chinese and English, since the government made English the first language and Chinese the compulsory Mother Tongue for all Chinese. I study the piano and the traditional Chinese instrument, the erhu. 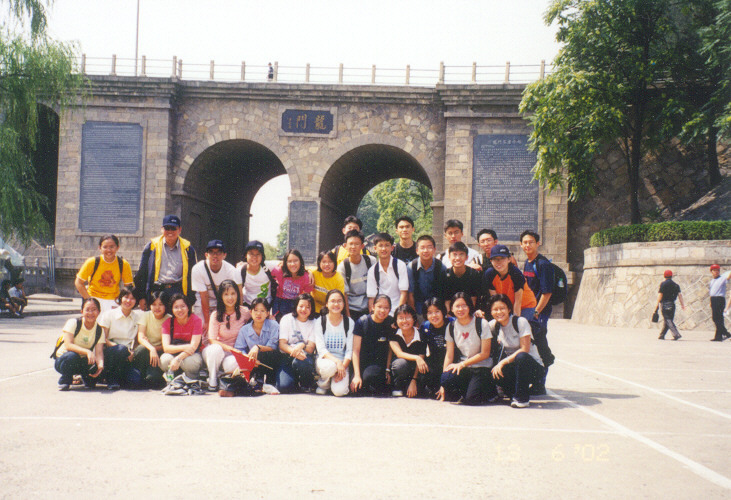 When I was in secondary school, I joined the school's Chinese Orchestra as my co-curricular activity, and have never regretted doing so, despite the demands that it made of my time. It would not be a far stretch to say that we are possibly one of the best secondary school Chinese Orchestras in my Country, if not THE best. We have clinched the title of Best Secondary School Chinese Orchestra for three times in a row now, and make biannual trips to China for performance tours. So far, I have performed in Nanjing, Jiangyin (hometown of Mr. Liu Tian Hua, a a famous erhu player) Suzhou, the town of beautiful gardens, and Henan, famed for having the Yellow River flowing throug it. The experience was truly wonderful! The Erhu is a most fantastic instrument. Most people here have the mistaken notion that an erhu produces a sound like " a cat's wail," and their ignorance always saddens me. As for the erhu, it used to be that it wasn't very well designed, and was used only in opera with a range of one octave. This was until Liu Tianhua came along. With his education in the violin, he further refined and standardized the design of the modern erhu, using the method of shifting the hand downwards to increase the range, also introducing a myriad of different performance techniques. Liu Tianhua revolutionized the erhu, and when he first performed Guang Ming Xing, it was a milestone in erhu history. For the first time ever, people saw the range and potential of an erhu. It's popularity as a solo instrument surged. Right now, the modern erhu has a history of about 500 years, but people never forget that it was Liu Tianhua who brought the erhu to where it is today. Liu Tianhua composed kong shan niao yu and zhu ying yao hong plus a few other pieces. Even after so many years, his pieces still enjoy great popularity. 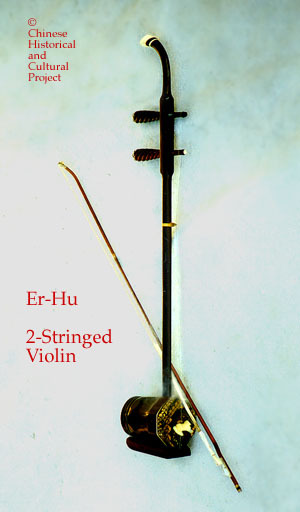 The Erhu is similar in principle to the violin, but wow, the tone is certainly unique.